Before we opened the doors to the gym, we had a crew of founding members who started their fitness journey with us in the garage. We are so blessed to have so many fantastic people in our community, and this couldn't have been possible without the trust and support of our founders. As a special thank you to these folks, we have created named WODs in their honor which we will program each year on (or around) their birthdays. Not only is Sarah one of our founders, but she has brought along her entire family as well. Even though her birthday isn't until the end of the month, we are celebrating her special day today. You can read a bit of her journey below and we hope you enjoy your special WOD Sarah! Tell us about yourself, share something we don’t know about you. I am a mom to 3 awesome kids; Abby 14, Evan 12, and Harper 5. They keep me on my toes. Before we moved to Bainbridge, from the east coast a little over a year ago, I was the founding director of a non-profit called Girls on the Run (GOTR) of Southeastern, CT. GOTR is a nationally known program with over 200 councils across the US, and I started the CT council after discovering a love of running in my early 30s. Using running as a tool to empower, the program inspires pre-adolescent girls to believe they can achieve anything they set their minds to. How/why did you decide to join Bainbridge Island CrossFit? I NEVER thought I'd try CrossFit, I heard so many horror stories of people getting hurt and I didn't have any experience with heavy lifting. A few years ago, after running in a few long-distance events, I developed an overuse injury and had to stop running as frequently. I decided to join BICF to work on getting stronger and improving my lean muscle mass. In addition to improving myself, the community/team aspect was appealing to me as well. 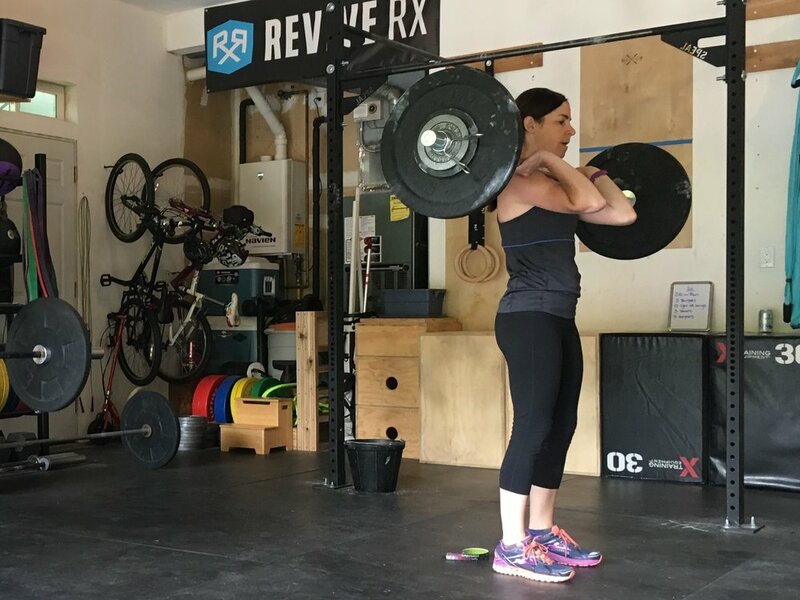 CrossFit has empowered me to believe I can do hard things. BICF is super unique. The coaches are not only very knowledgeable and passionate about what they do but they work hard to inspire you to reach your individual goals. The community is encouraging and positive and I look forward to coming to class every day. What has been your biggest accomplishment since starting at BICF? Definitely the pullups, being able to do more than one was a goal of mine when I started....(I could barely do one when I started 6 months ago). What advice do you have for people who are thinking about getting started? CrossFit will change you if you believe in being patient and working hard.